I’ve got another discount coupon for 88 keys. It’s good until September. Let me know when you’re available. I’d like to have another party at my house toward the end of June. When are people available? Taylor has volunteered to host the Christmas Party if anyone’s interested. Otherwise I can host, too. Her house is huge and awesome. She lives wayyy the hell out in Waukesha. No staying overnight if you get too drunk to drive. Not a pro or a con (unless you’re allergic) but she has 3 cats. Sorry I haven’t seen much of you people lately. I’ve been seeing a lot of someone else and it bothers me that I’ve been neglecting you awesome peoples. We need to get a weekly game of some sort going I think. I’d be willing to host if someone picks the game and GMs it. I’d be up for Shadowrun, D&D, CthulhuTech, or really anything else. Let me know! Everyone is coming to the Funeral and Pizza Party on June 4th at 4 PM at my house, right? I also have a bottle of Sprecher 25th Anniversary Kriek Lambic for Chad. You can sort of tell where my tastes in beer lie from the relative numbers. Though this is sort of skewed – each of the varieties of beer has at least one representative that I enjoy. Though I need to look a bit harder to find light lagers I enjoy; most seem to lack the qualities I most enjoy in beer – sweet malts and crisp, floral hops. dustpuppy is dead. I don’t want its stinking, rotten corpse hanging around the house. But I want to have a bit of a funeral to commemorate its 11 years of service. I was thinking of doing a pizza party / Sprecher beer party on June 4 at my house with Cataro’s pizza. I just need to know what time people are available. 2011 Installation of Officers for West Allis Chapter #84 R.A.M. 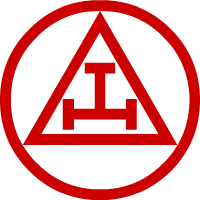 You are all invited to the 2011 Installation of Officers of West Allis Chapter #84 of Royal Arch Masons. It will be April 18th at 7:30 pm at West Allis Masonic Temple, 7515 West National Avenue, West Allis, WI 53214. Please let me know if you are planning to come. 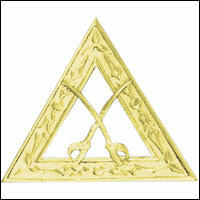 I will be installed as the Royal Arch Captain. I have a new phone. It’s an LG Optimus V. When I’m using IRC on it, I tend to use the swype input method since it is faster than hitting each key. It works fairly well most of the time. Except when I try to swype in someone’s name. You guys remember Chris (aka SandCat) from my birthday party? Well, he needs to get out of the house more often. He’s into books and DnD and I was wondering if you guys wanted to help me show him a good time by hanging out at a bookstore or doing a one-shot game session sometime? We can coordinate schedules. You are currently browsing the archives for the The Table category.